Black's Barbecue is most famous for its beef brisket. Edgar Black, Jr. was the first person in the United States to exclusively serve the Brisket cut of beef at his barbecue establishment. Historically barbecue joints would just cook whatever meats were left over in the meat market. Edgar started only selling the Brisket cut of meat and others have since followed. "When I first started selling Brisket, there weren't half a dozen barbecue joints that sold it. Now, I bet you couldn't find half a dozen that don't sell it," says Edgar Black, Jr.
Black's Barbecue only serves Certified Angus Brisket. No one else in Lockhart does that. Certified Angus Brisket is the top 50% of all Select Angus Briskets. Edgar Black, Jr. slow cooks the meat on his 60 year old pits using local post oak wood. The dry rub used is a special blend of spices developed by Edgar as well. 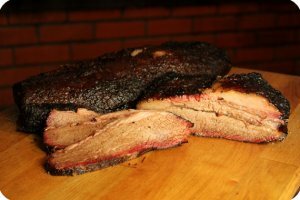 The brisket, the wood, and the dry rub produce brisket that is known all over the United States. Recently, a couple from Sweden who operate a western style Dude Ranch in Sweden, came all the way to Lockhart to learn how to cook our great Texas Barbecue. Try some of the best melt-in-your-mouth brisket that you'll ever taste! 2/20/2018 – Is the brisket shipped raw or pre-cooked? 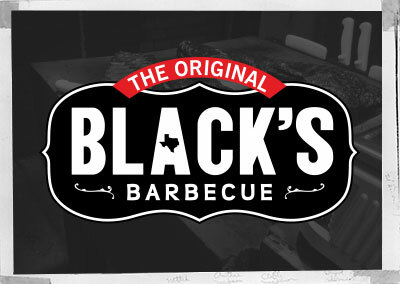 Response From The Original Black's Barbecue: The brisket will arrive fully cooked and smoked. All you will need to do is thaw, heat and eat! 1/23/2018 – Is there a fat cap on the lean end? 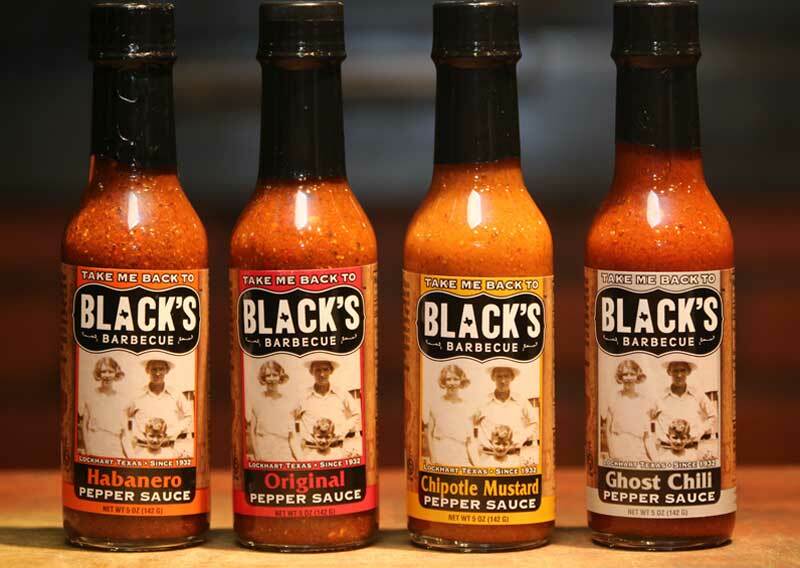 Response From The Original Black's Barbecue: Yes there is. 12/29/2017 – I have a 4 lb. frozen brisket - how long will it take to thaw out in a 36 degree refrigerator. After thawed out I follow . . .
12/10/2017 – What is the difference between the 2 pound lean and 4 pound fatty? I know ones bigger of course but what do you mean by . . . Response From The Original Black's Barbecue: Good question. A brisket has a lean end, and a fatty end. The fatty end will have more marbling within the meat fibers and a little more top fat than the lean end. Some people, like myself, love the fatty end, and some don't care for it. If you order the 2 pound brisket, it will be mostly from the lean end. 11/29/2017 – Is there a way I can just get 2 whole briskets and 2 bottles of sauce not just lean or fatty end and what would the price . . . Response From The Original Black's Barbecue: Our 4 pound Brisket is just about a whole brisket. It will have both the lean and the fatty end on it. 2 of our 4 pound briskets with 2 bottles of sauces comes to $153.96 plus shipping which comes straight from FedEx. Thanks and let us know if you have any other questions.